(July 17, 2015)- Detectives with the Cape Coral Police Department Vice, Intelligence, and Narcotics (VIN) Unit with the assistance of the Cape Coral Police SWAT team took down a pair of drug dealers peddling opiates in a SW Cape Coral neighborhood early Thursday morning. Based on probable cause obtained during an ongoing investigation, Detectives obtained a search warrant for the residence located at 426 SW 15 Terrace. At 6:30 AM yesterday morning, Detectives with the assistance of the CCPD SWAT team served the search warrant at the residence. Persons inside the home were detained as the search was carried out. Detectives seized over 250 pills (hydromorphone, Dilaudid, and buprenorphine) totaling over 38.8 grams in weight, a drug journal, three cell phones , and $1016 dollars in US currency. During the initial search, Detectives located property that they believe to have been traded for pills, much of which is believed to be stolen. Cape Coral Police Department Property Detectives were notified and responded. Property Detectives obtained a second search warrant and seized multiple items from the residence. The investigation is ongoing at this time. David Kish Lawrence and Ricky Lane Gomes were taken into custody on various narcotics charges (see below) and were transported to the Lee County Jail. ARRESTED: David Kish Lawrence, W/M, DOB: 10-15-1967, of 426 SW 15th Ter Cape Coral, FL. 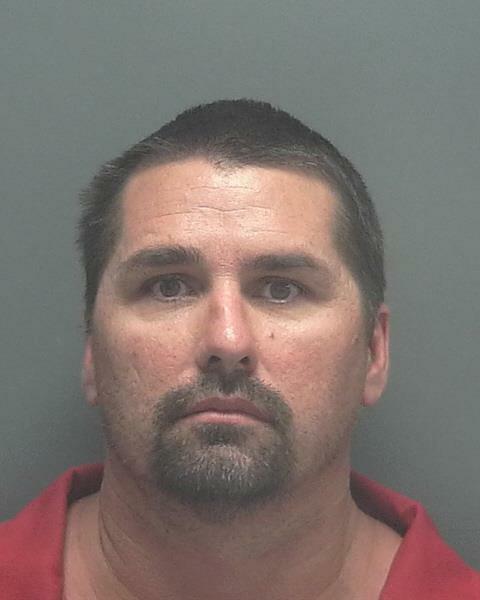 ARRESTED: Ricky Lane Gomes, W/M, DOB: 01-24-1972, of 426 SW 15th Ter Cape Coral, FL.